Supplier You'll want to specify who the order is for! This can also be blank if you're sending the order to multiple suppliers to get the best price. Order Type Choose from Pickup, Delivery, and Price. If you're using a supplier integration (see below) this option won't be available. Order Number We'll populate this for you, but feel free to use your own. Contact, Date & Time, and Notes / Delivery Instructions These are optional and let you add additional information your supplier can refer to. 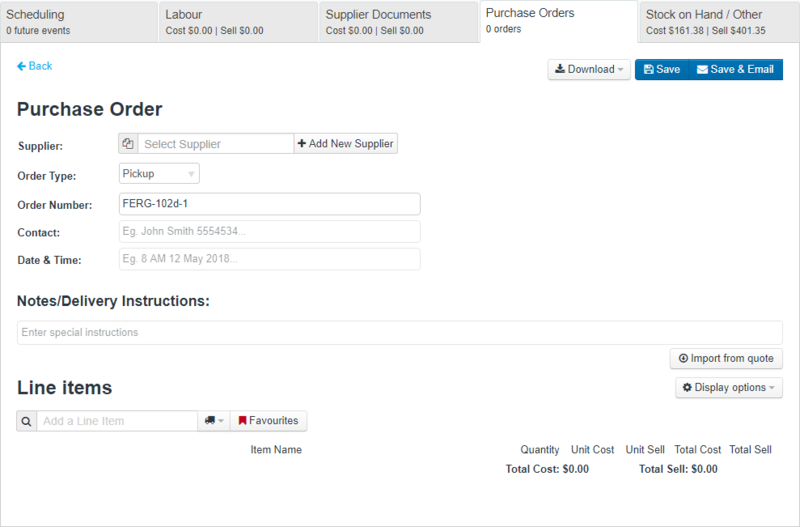 If you're ordering many items from the job's quote, you might find it easier to use this option. Click Import from quote and choose the sections you'd like to import. For anything you don't need to order, simply click the x cross beside the item. If you're just ordering a few things or you're working off a charge-up job, you can add items to the order in the Add a Line Item box. By default, line items from all suppliers are returned as results, but you can click the truck icon to filter by your chosen supplier. Once you're happy with your order, click Save & Email to email off your order. Fill out your supplier details (as per this article) so that their emails appear in the To field. If you purchase from a supported supplier, we offer integrations which send your order through to your chosen branch for immediate fulfillment. 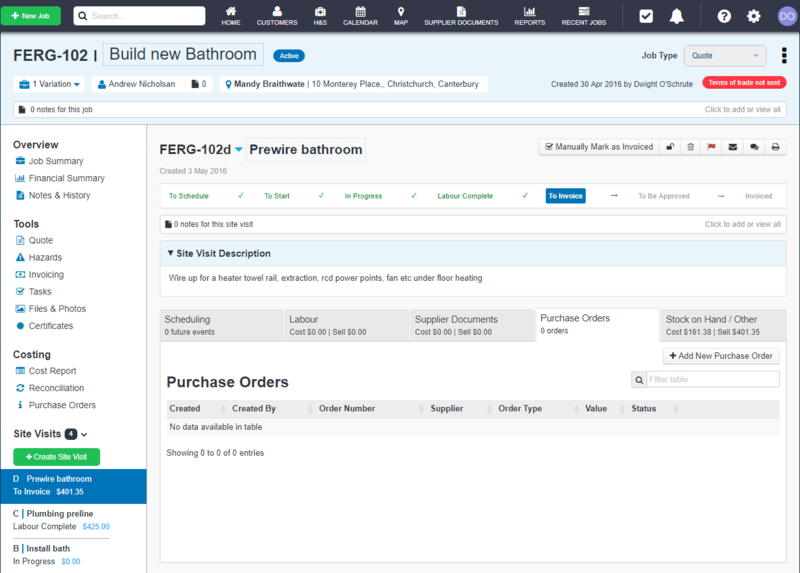 Make sure you've enabled the supplier integration as per the articles in our Integrations area. Once your order is sent, we don't recommend updating it again as it may be too late! Get in touch with your branch to make any adjustments to the order once it's sent. Please note that Purchase Orders are a Professional Plan feature only.